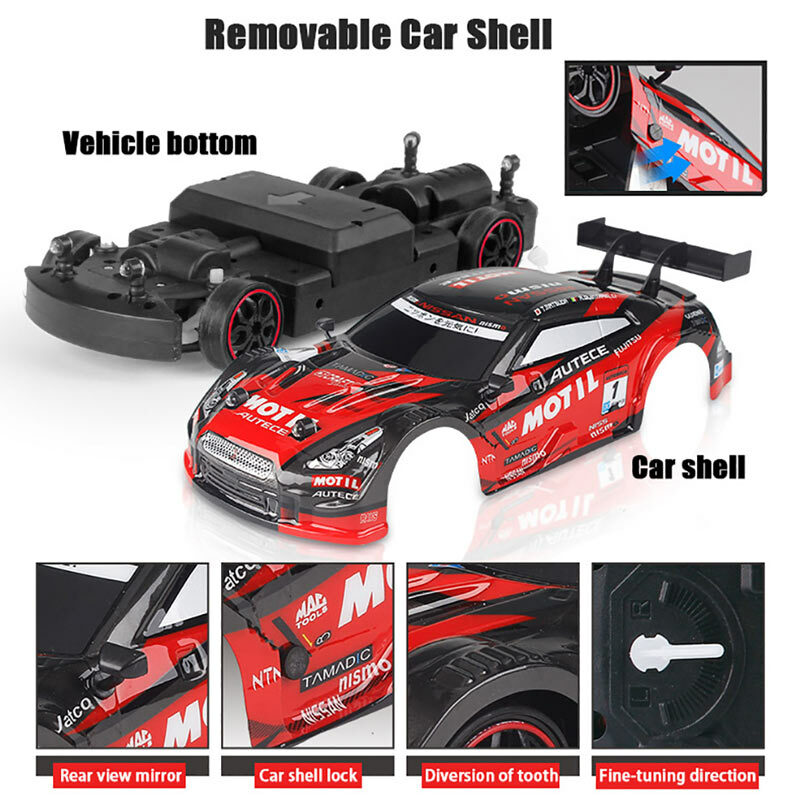 With a cool Gun remote controller, MO11 RC Racing Drifting Car comes into your eyesight. 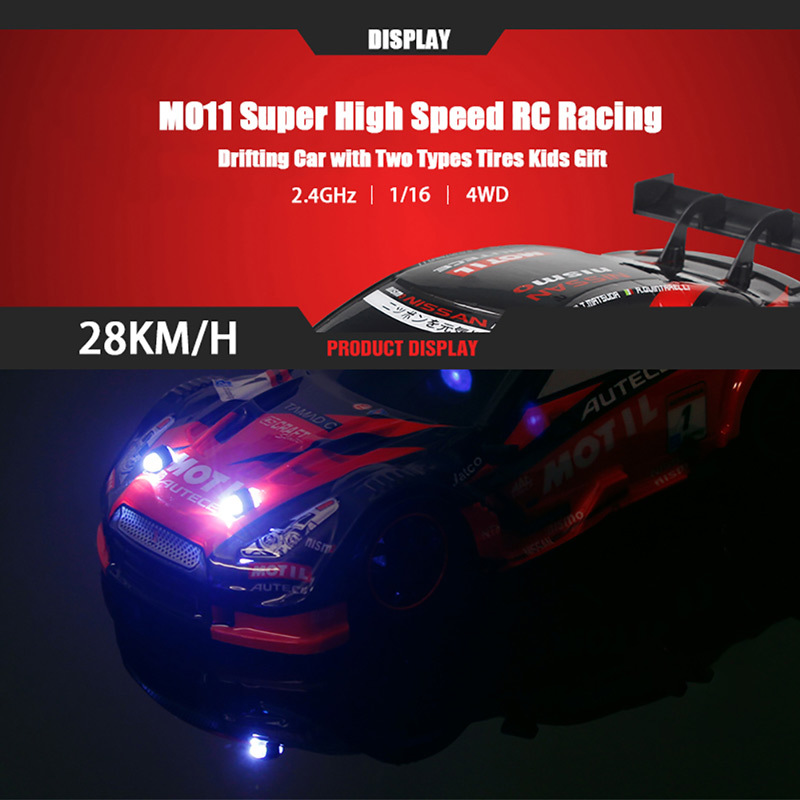 The 4WD and amazing speed 28km/h will catch your attention. 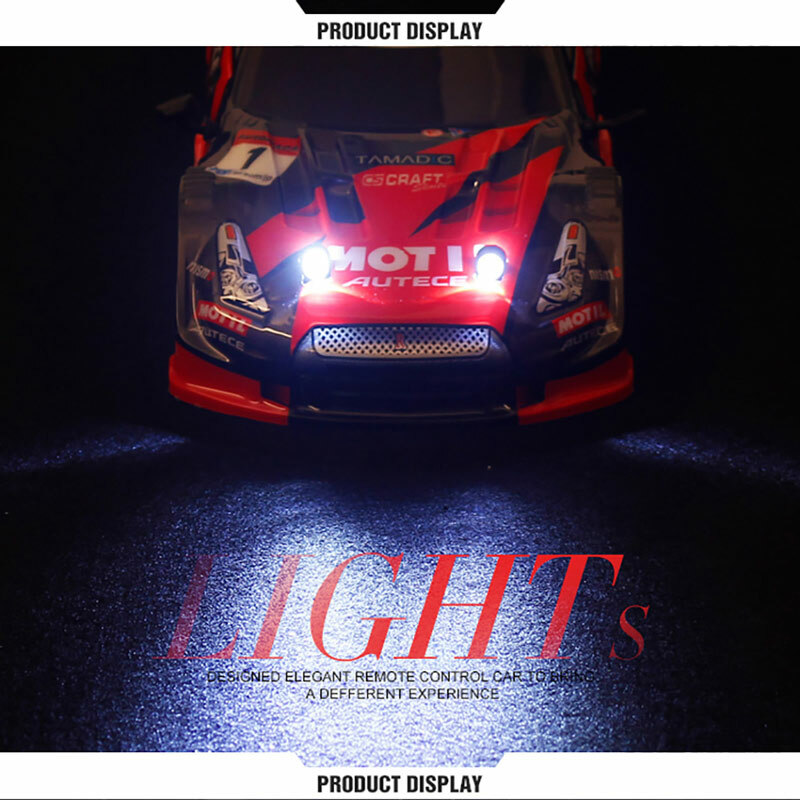 With bright headlights and reversing lights, you will have a different experience. 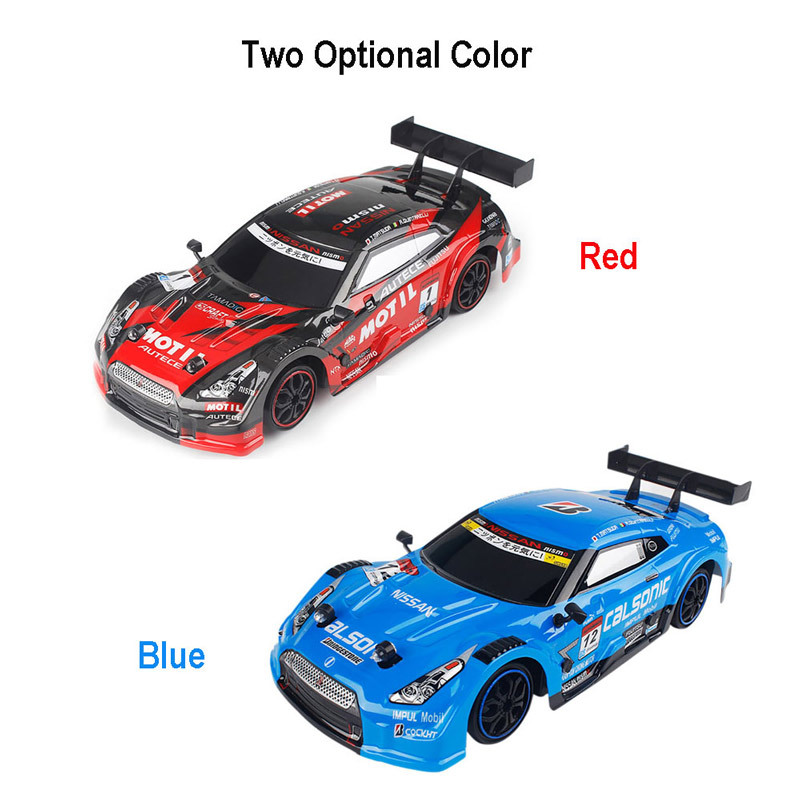 It is worth for you to own. 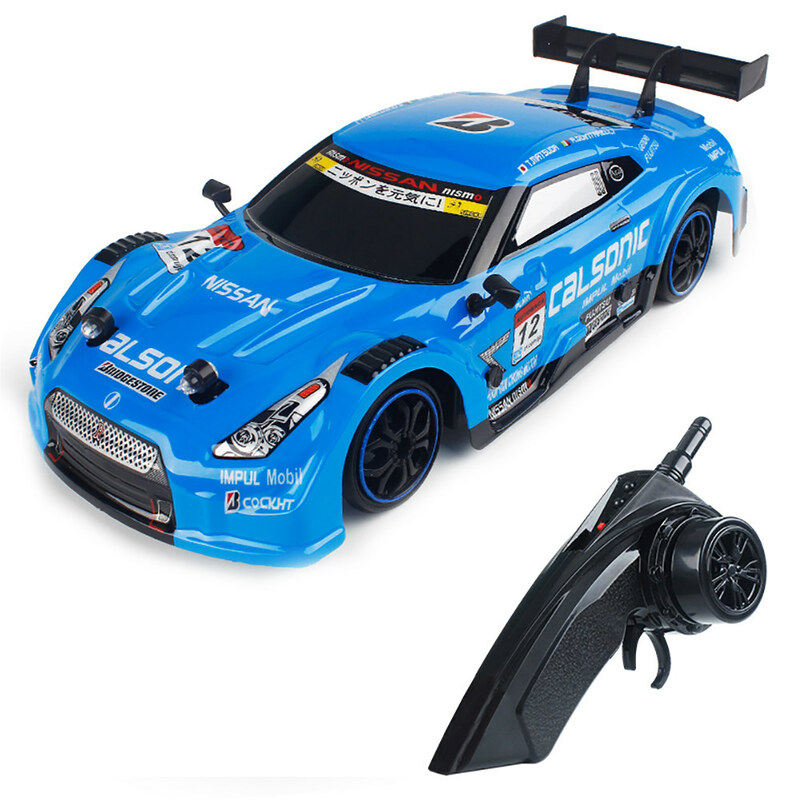 2.4GHz Ratio Control System: The max control distance is more than 50m, two or more RC vehicle can be racing together without remote confusion. 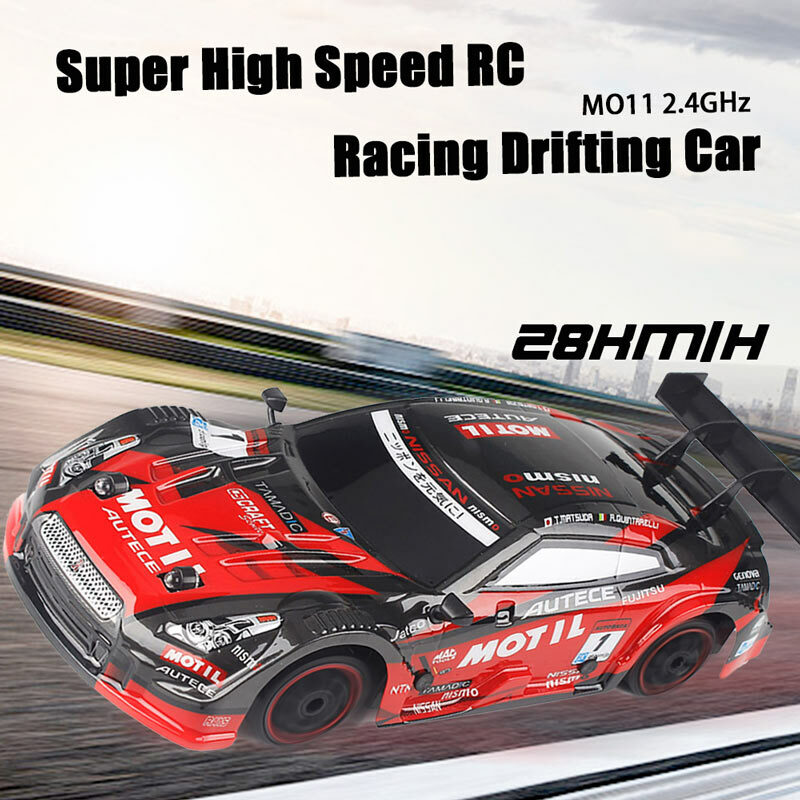 Super Power System: The super power motor and four wheels drive system bring the speed is more than 28km/h. 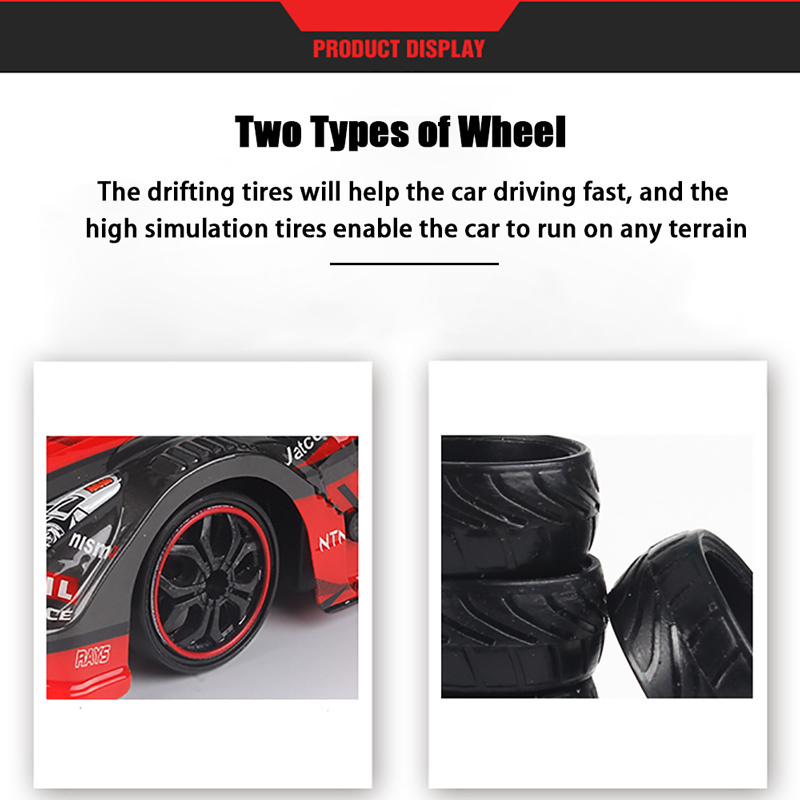 Two Types of Wheel: The drifting tires will help the car driving fast, and the high simulation tires enable the car to run on any terrain. 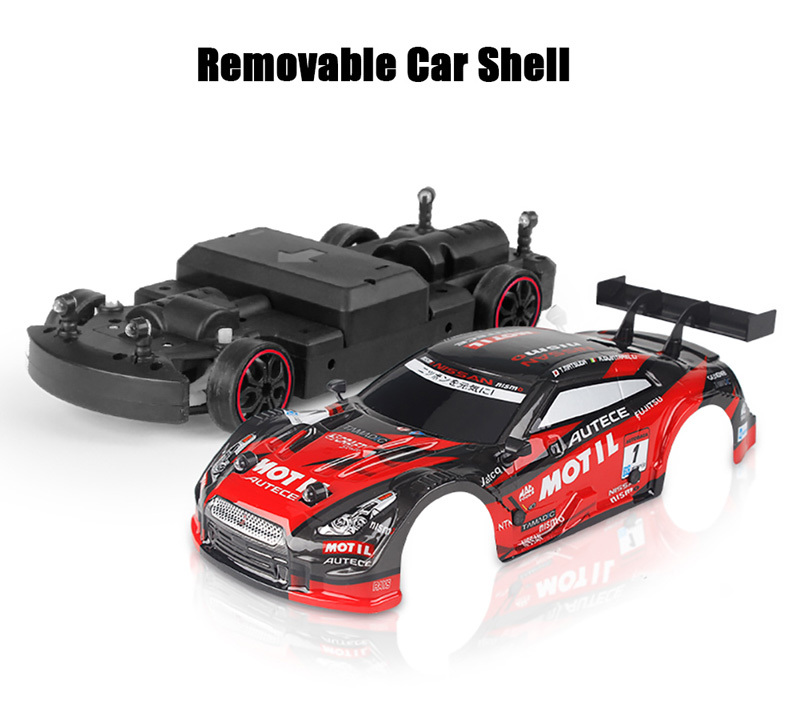 High-quality Materials: The body of the car is made of ABS, and the shell is made of PVC for durability. 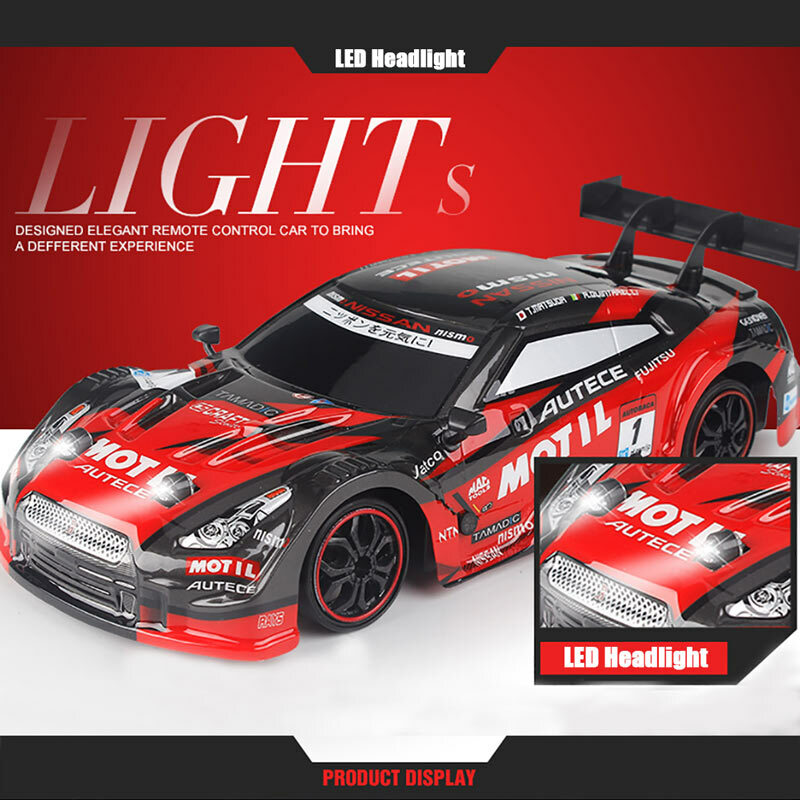 LED lights: The bright headlights always keep on in your journey, while the reversing lights only light when the car backward. 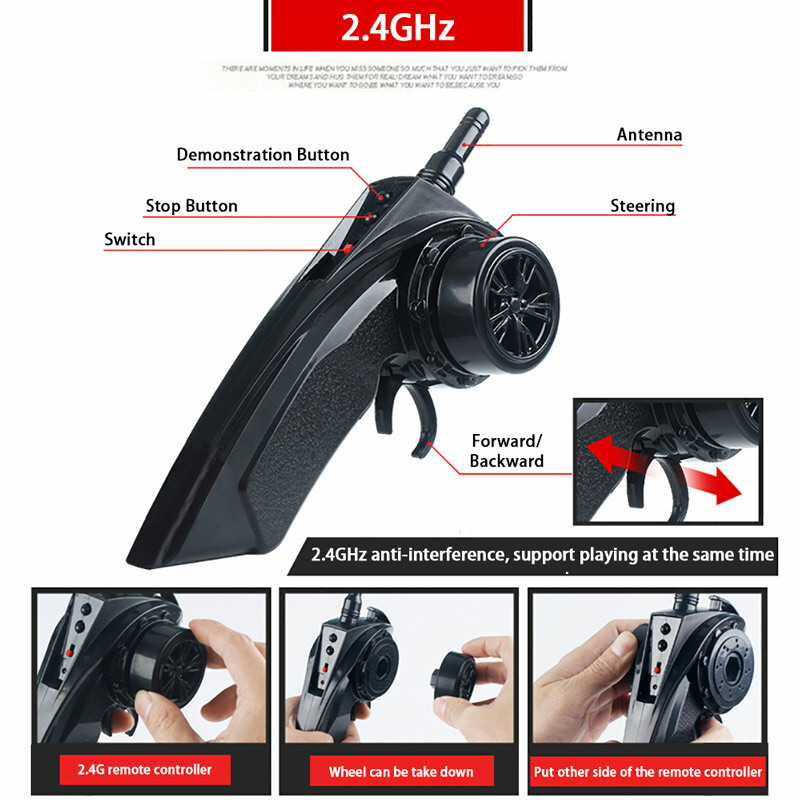 Multi-functional Gun Controller: The direction wheel is removable, it can mount the other side of the controller, suitable for the people who has different habits. 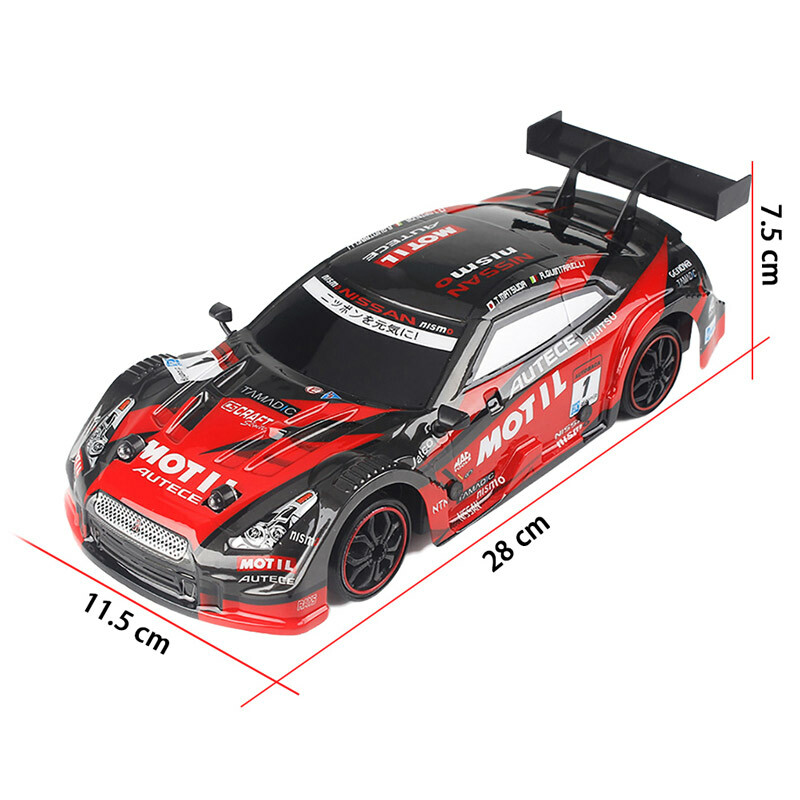 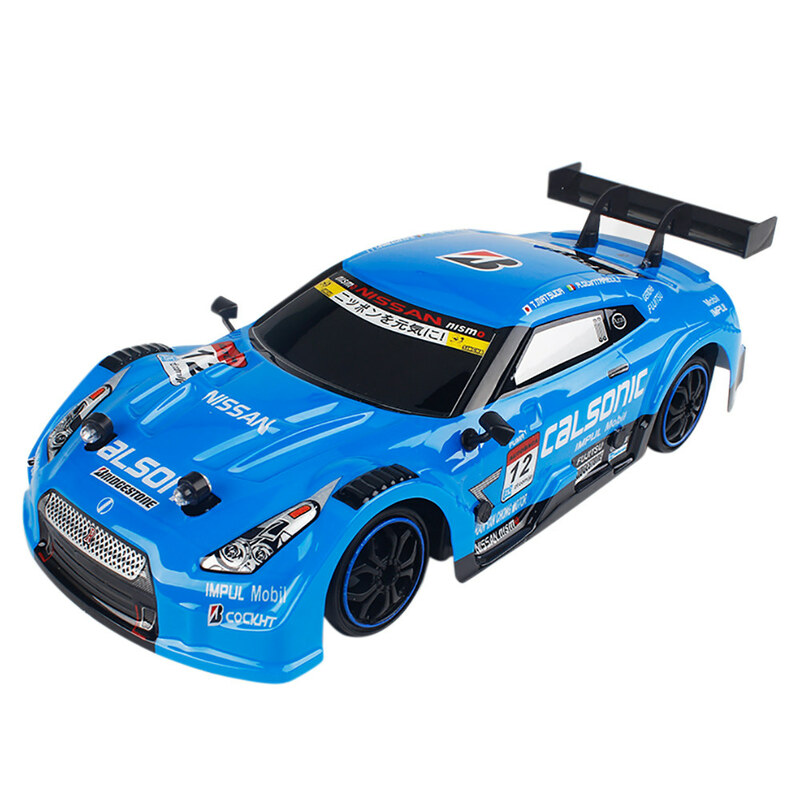 This racing model is not a toy and is not suitable for children under 8 years old.